First Cook the rice with Ghee till it’s done and soft without adding any salt. Next with hand blender or a mixture grinder mix cooked rice and curd. Add sugar as per your taste. You can also add milk-maid to sweeten the batter. Let the batter be coarse, smooth enough to eat. Mix fresh cream to enhance its taste more. 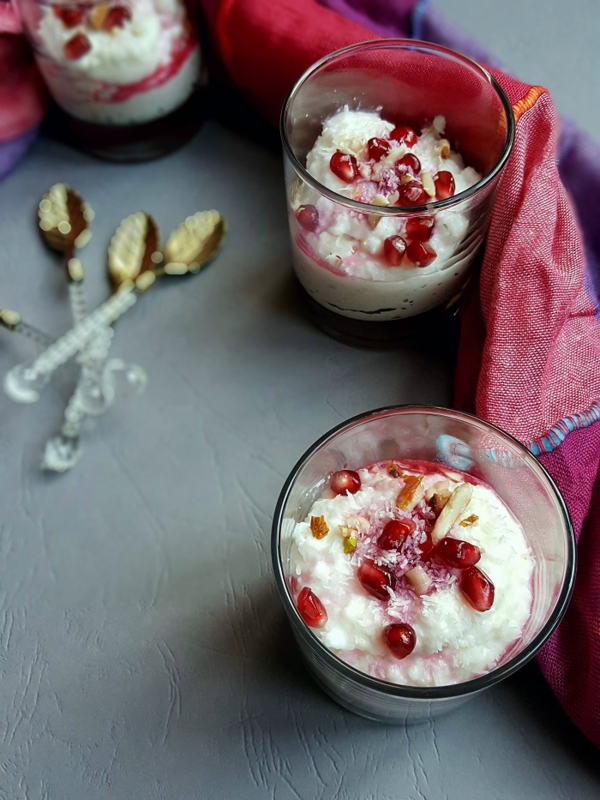 Add the batter into serving a dish Start adding some colours by garnishing your white dish add a layer of almondand pomegranate seeds with some raisins and rose petals which surely makes the dish gorgeous. Refrigerate it for a while before you serve it.